Design Sprints: When To Use Them In Your Product Team + QUIZ! The design sprint methodology can provide the ultimate, bullet-proof solution to your product or business problem in 5 days. Sounds compelling, doesn’t it? But does the method fit your product team right now? Does it suffice to follow the “cookbook” and see what happens? 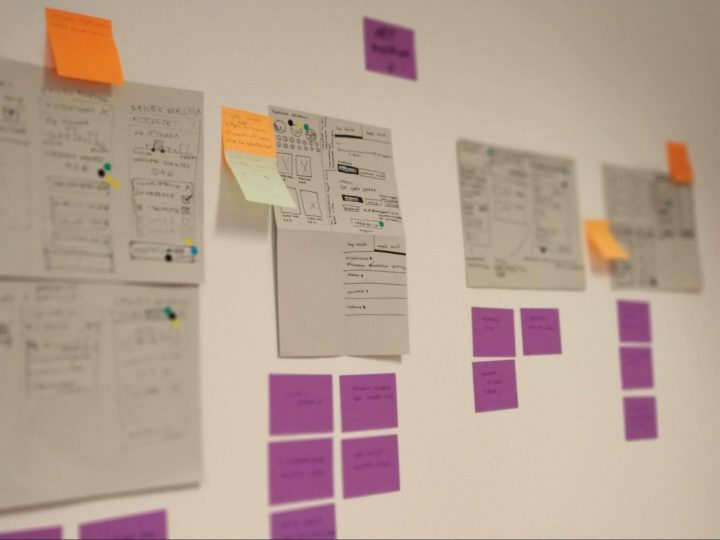 What is the design sprint process anyway? 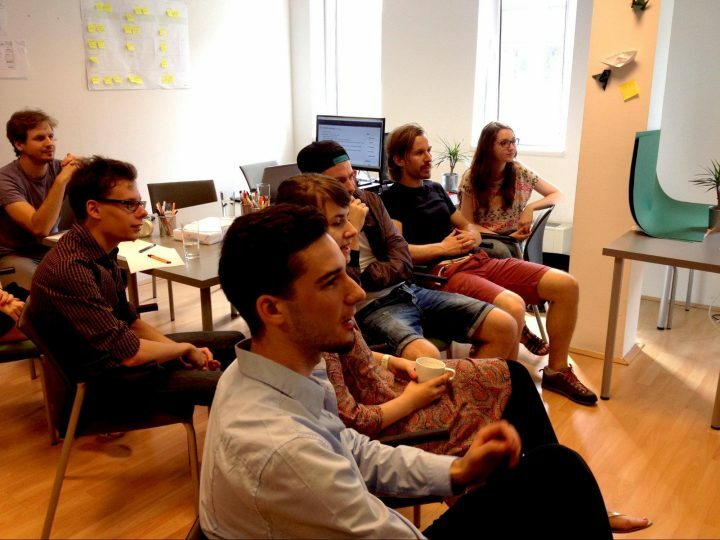 We at our UX company, we facilitate many workshops to enhance ideas. So design sprints are part of our routine. 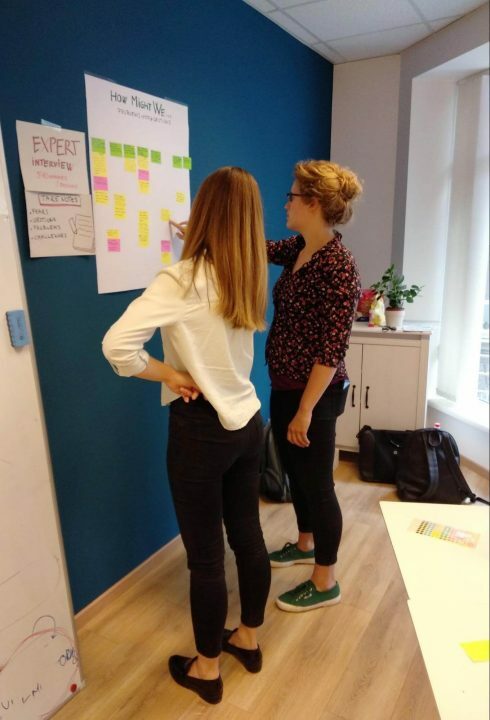 Here we present the answers based on our experience as design sprint facilitators. Does a design sprint suit you right now? What is a design sprint? What to use it for? 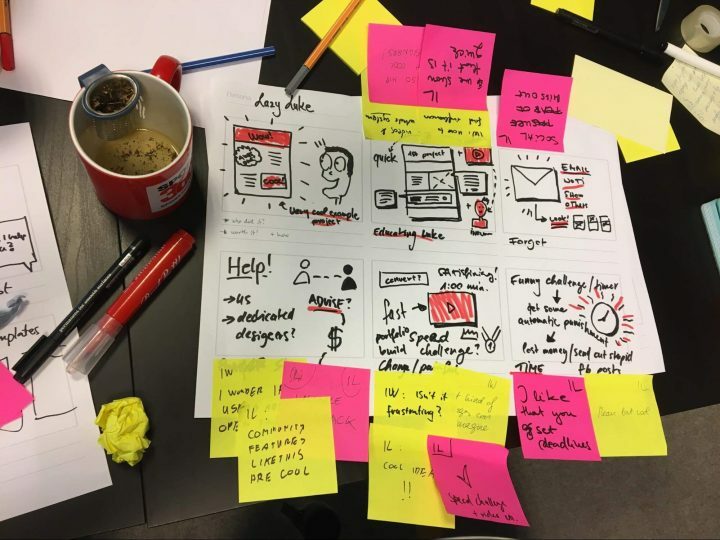 As the father of design sprint Jake Knapp puts it, “The design sprint is a five-day process for answering critical business questions through design, prototyping, and testing ideas with customers”. 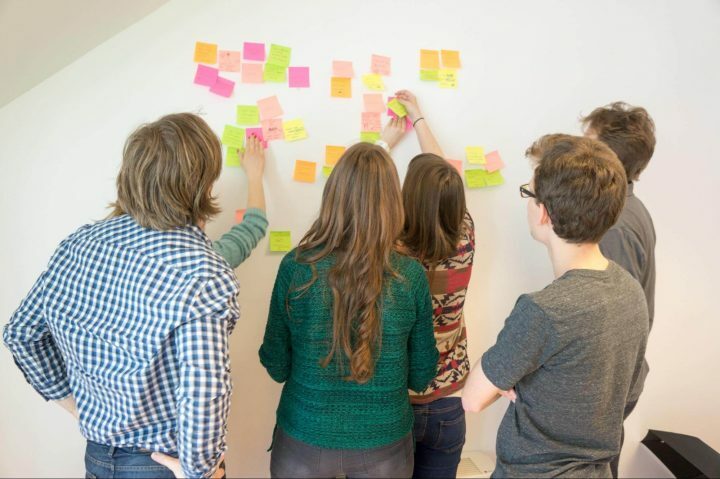 A design sprint comprises the well-balanced fusion of the most productive methodologies in an intensive week. We use design sprints on a weekly basis. We apply design thinking methods not only to solve professional problems as part of our workflow, but we also involve our clients to make the best of collaboration to go forward. Additionally, we even use workshops as a tool to set our own business and company goals. This way we are participants and the facilitators on workshops on a regular basis. When to use a design sprint? So how do you know if a design sprint will solve your problem? If you think the design sprint methodology just concerns rapid prototyping to get an MVP, you have missed the point. In fact, it does not present an exclusive method for new product design at all. 1. Do you have a specific problem that needs a solution? 2. Is the problem complex with no obvious solution? 3. Do you need a cross-functional team to solve your problem? 4. Is your problem worth investing 5 days? 5. Do you need full-on innovation for a changing or a new market? If you have answered yes to all 5 questions, you might benefit from a design sprint now with your product team. Decision-making presents one of the hardest challenges, even for launched products. Design sprint can help decide which direction to go. You can brainstorm together, define core ideas and try different methods with no fear of failure or wasted time. How we do design sprints? Prior to the sprint week, we have a casual kick-off meeting with clients. There we hear their expectations of the design sprint process and adjust the method to their needs. We do that to make sure a design sprint delivers the right solution to enhance the potential outcome. 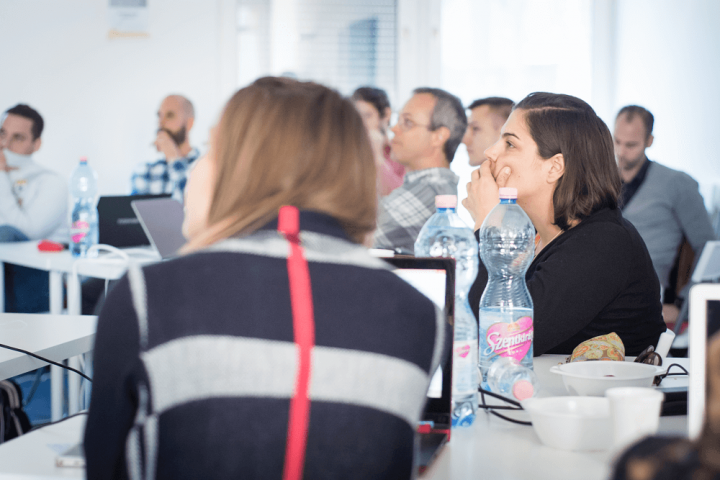 According to the design sprint definition, coming up with testable solutions to a problem in a week already provides a practical value in the first place. You don’t need to risk investing in the building and launching of the actual solution to see its viability. Seeing sales, marketing, data and product people sitting together is so rewarding that it already provides an added value. Multidisciplinary teams can function extremely well, so it really merits the difficulty to figure out the right dates in the common calendar. Learning several new methods that you can also apply separately is very useful, and not just for the product team. Those familiar with the endless meetings and brainstorming sessions resulting in no decision will definitely learn a few things. 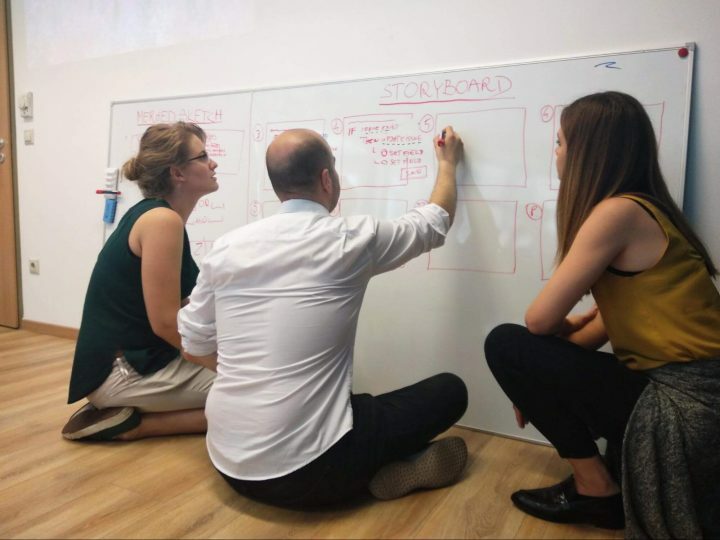 How to prepare for the design sprint process as a team? Design sprints represent a big investment because participants’ time also counts. However, you cannot just pop into a brainstorm between meetings with 400 other problems on your mind. The entire purpose of sprint methodology aims for productivity by concentrating on one solvable problem intensively, getting fully into the flow and exploring opportunities you otherwise wouldn’t consider at all. However, we can fully understand the impossibility of asking for three to five days of stakeholders’ valuable time at a corporate-size company. So… invite everybody from the team in time. Product owners, project managers, marketing people, salespeople, customer service. The more diverse the team, the better. Invite developers, too. 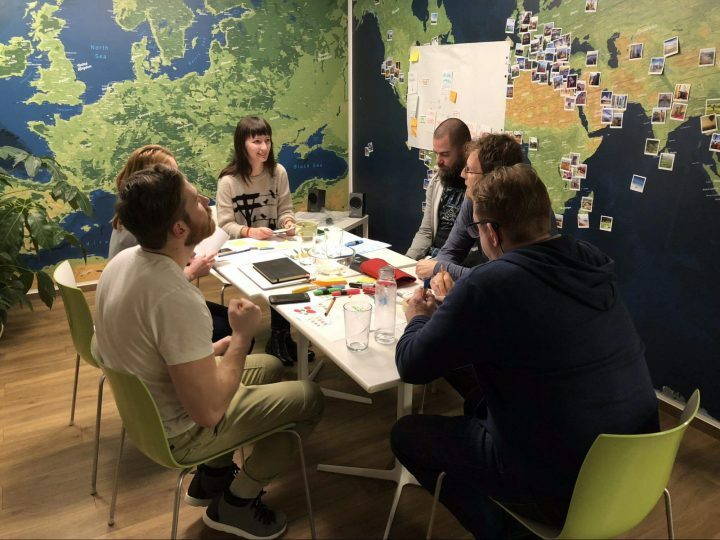 Seven participants besides the facilitators make up the ideal for a design sprint. Make sure that decision makers come as well. The workshop sequence will be tiring, but not a problem. You should know that it will require a time investment from your side. The process also requires an experienced facilitator who can contribute to the success. Facilitating a design sprint sets a big professional milestone but also a constant challenge, as no two design sprints run identically. Our team always tailors the sprint completely to the participants’ needs. Depending on the product, we involve one more person from our side if needed. 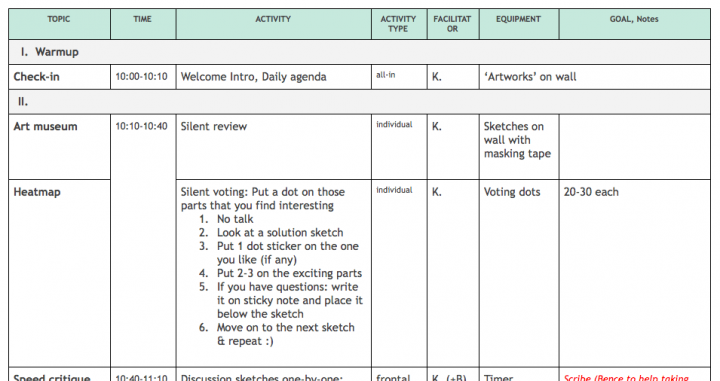 This way, we can also add our out-of-the-box ideas to the participants’ besides facilitating the workshop itself. Nothing with an agenda will unfold exactly according to it. Get prepared for that with your team. However, if the facilitator knows what should happen and why by heart, they will also know how to adjust it on the go and how to turn the unexpected to their advantage. As facilitators, we usually over-prepare the agenda for the same reason. Creating a well-defined, precise schedule forms one of the key elements. We take time to plan every minute, not just the timing and the activities but also the goals and the equipment we will need. Later, we always give thanks that we have. Speaking honestly, the beginning of the design sprint is so uncertain (we don’t know what we will work on in the upcoming days, participants’ personalities etc.) that it really calms us to have a detailed toolbox in mind. We usually send the agenda to the team so I can prepare for other possible questions as well. Your team might have a great history of working together; it might not. But experiencing a design sprint together will surely bring them together. The team itself should ready itself mentally to take up that challenge and work together toward a common goal. Assure the team that they don’t have to draw like a cartoonist. The knowledge and the great experience comes either way. The team members need to feel free from the judgement of their ideas and their representation of them. Even we have also learnt that the facilitator’s work constitutes a team exercise, not a lone wolf’s job. After all, it drains energy intensively and requires a co-facilitator. In UX studio, we work in pairs. The workshop facilitator has the responsibility for leading the current workshop, moving forward if needed, and ensuring everybody takes part equally. The facilitator has to stay neutral and shouldn’t influence the others with opinions. The facilitator also records all the info about the day and emails everyone about the next. The co-facilitator helps with taking notes, photos etc. Rules are meant to be broken; the design sprint is meant to be modified. Depending on your problem, a design sprint doesn’t necessarily take five days. As a consequence, you can alter some exercises. (In fact, a similar technique, the design sprint 2.0 is planned for four days.) The facilitator has the responsibility to take away or add or lengthen steps of the sprint structure but in a way that keeps the structure. During our last two sprints, we worked on a filter system redesign and an email handler. With these little elements of a complex site, we could speed up the sprint process a little. We kept the original sprint structure but we also fit the workshops for our customer’s needs where necessary. Note: Find the detailed description of each day in the book or on Jake Knapp’s blog. Here we give an overview of what we usually do. Intro: On the first day, we aim to get on the same page. We introduce the agenda and then a friendly warm up in just a few minutes. Then we define long-term goals related to user experience to fully understand them. We draw together a real user journey of how the users would use the product. This helps to understand the flow even more. Then we prepare for brainstorming with a technique that enhances creative thinking. By the end of the day, we have a common understanding of the problem we wish to solve and a user journey/customer journey map. Brainstorming day! We come up with lots of ideas to choose from. After the intro, everybody brainstorms alone and tries to find inspiring solutions. They can all come up with ideas based on their backgrounds. We use techniques such as lightning demos, crazy 8 and solution sketch. With this, we finished Day 2 and hung the sketches on the wall so we can start the next day with the art gallery. By the end of the third day, you will have a decision. Participants take a tour of their “art gallery” and put their voting dots on elements of the sketches that they prefer and their questions on post-its under each work. This will result in a heat map of preferred ideas to discuss in preparation for a final voting round. 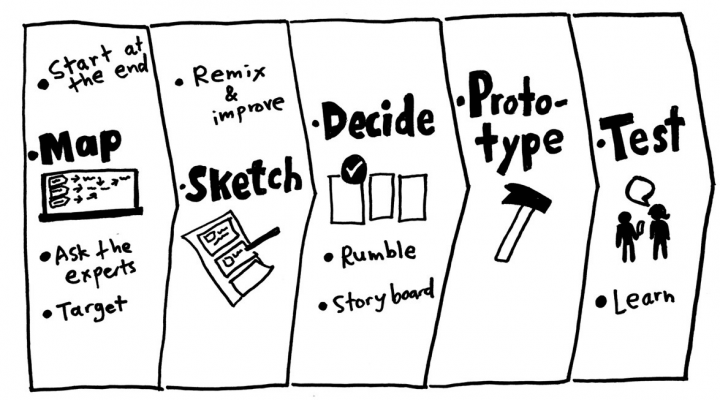 The most fun part of the day comes when the selected idea “becomes” a storyboard, ready for the next day’s prototyping. Time for action and production. At this point, the decision makers have usually gone off-site. The team starts the busy prototype manufacturing. 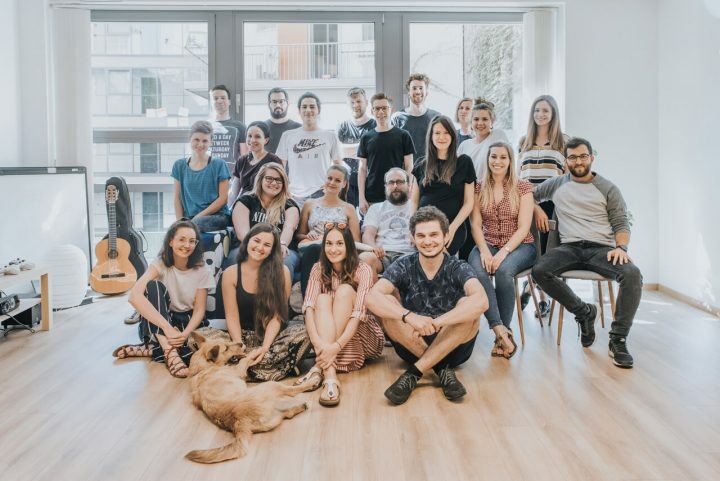 Other members of the team produce the script for the upcoming usability test and have already arranged test participants. Time to see your work in action and test the prototype with real users. We involve everyone to observe the usability tests. It is useuful to livestream them to the rest of the team so they can keep up with the user tests without disturbing the session. As a closing session, we discuss the entire week and present the user test results. So, is a design sprint the right choice for your product team? 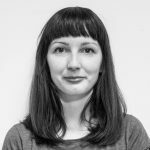 Have any questions about our design sprint? Don’t hesitate to contact us and write a comment below. I'm a UX/UI designer here at UX studio. Also a foodie, medium level control freak, beauty and lifestyle tip lover.